I love a bit of history, and walking up to the front entrance of the St.James’s Hotel and Club (which ironically began as a Travellers Club for diplomats back in 1857), I reminded myself of all the previous owners and former members of this fine piece of luxury Georgian real estate in the heart of London’s Mayfair. Ian Fleming, Winston Churchill and in 1980 Peter De Savary and his show biz investors: Michael Caine, Sean Connery, Tim Rice, Dudley Moore, Liza Minelli and Pete Townsend. Heady days. 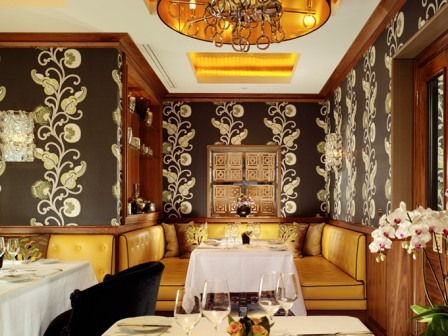 Since then, St. James’s Hotel and Club has seen its fair share of ups and downs but has at all times managed to retain the air of sophisticated exclusivity it deserves considering its illustrious past. Today, still in private hands, although managed by renowned luxury German hoteliers Althoff, and part of the SLH portfolio, I was looking forward to seeing what lay behind the legend. 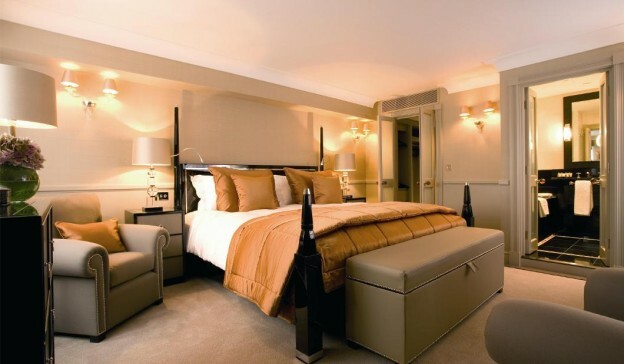 With just 60 rooms, St James’s is very much a cosy luxury boutique venue, tucked away on Park Place, a quiet cul-de-sac off St. James’ Street. There is still an air of gentleman’s club about it; the original works of art, the handmade silk wallpaper, the Murano glass chandeliers and a stunning vintage staircase, but the warm embrace of the hotel team, particularly Dan the very chirpy concierge whose secret unveiling of the mysterious Queens entrance short cut onto the Green Park was very welcome, quickly reminded me this was what luxury boutique hotel service should be like. Actually, it was no secret at all, I made that bit up, but it was said to once be the entrance kept for private visits of the Queen and it was a short cut for jogging in Green Park! 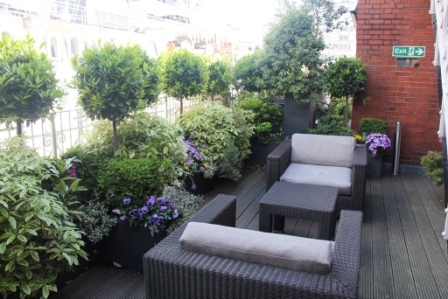 The news I had bagged one of St James’s sought after 6th floor terrace suites was gratefully received. A lounge area of sink-into sofas, plush carpeting and fine furniture led out onto a charming flowered terrace overlooking Mayfair below, replete with wicker furniture and the sun beaming down on my good fortune Back inside, the bedroom and bathroom a study in designer luxury with Hypnos mattress, crisp linen a Jacuzzi bath, a walk in tropical shower, twin sinks and Etro and Penhaligon toiletries. Amongst all this joyousness however I found a couple of disappointing aspects; a distinct lack of power outlets (one of my pet hates) particularly as there was a fine hairdryer to use but no outlet near a mirror, and surprisingly no tea and coffee facilities or espresso machine which is pretty much de rigueur in hotels these days. 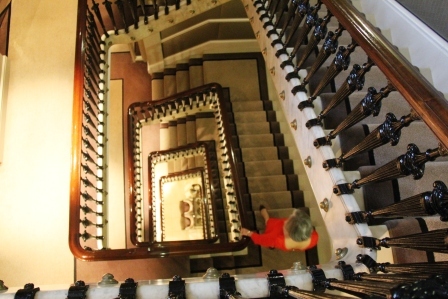 Back down that stunning staircase, William Drabble’s Seven Park Place (See TripReporter’s separate review) was an absolute triumph. 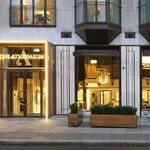 Drabble who was previously at Aubergine, was awarded a Michelin star here just a year after opening. 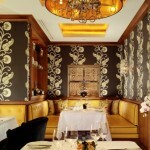 Like the cosiness of the hotel, Seven Park Place is small on covers, but exceptionally big on quality and service. 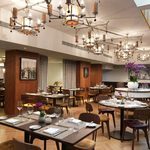 St. James’s Hotel and Club is a quintessential slice of English boutique luxury which more than does justice to its illustrious past. Marco the Sommelier whose choice of wines to complement the food was nothing short of miraculous. The breakfast room was a little too sociable. An effort squeezing out from behind the tables after a full English! I want to stay here how much is it?